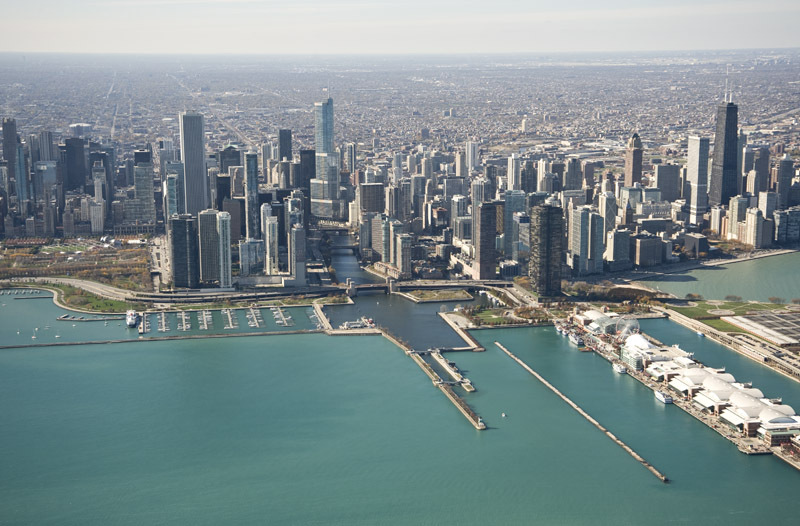 Today we have one of Gregg Woodward’s aerial photographs of the Chicago skyline along Lake Michigan. You can see how the Chicago Harbor Lock keep those two water bodies separate. The reversing of the Chicago River more than a 100 years ago for public health reasons is sometimes overridden when large storms hit the city. The locks are opened and stormwater is allowed to flow into Lake Michigan.